Entrepreneurs are optimists. They have to be. Just think about it. 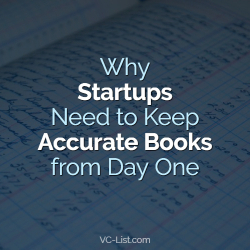 The 50 percent five-year failure rate for startups has been fairly consistent over the past decade. Most fail because their financial buffer is inadequate. Profits are too small, profit growth is too slow, or an unexpected contingency derails the startup’s business plan. If entrepreneurs were realistic in the face of these odds, we would have far fewer startups. However, when it comes to that aforementioned capital buffer, entrepreneurs’ confidence needs to be tempered. While they can ignore the 50 percent failure rate, what they should be a little more concerned is some other factors from the “odds” list. In particular, the numbers related to mortgage financing and divorce rates should make them pause. 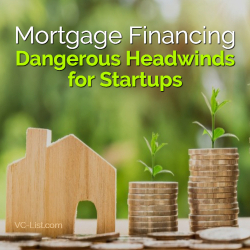 Many entrepreneurs believe that a second mortgage (and home equity lines of credit in particular) are one of the best financing mechanisms for startups. This line of thinking is understandable and, at times, unavoidable. For instance, the Small Business Administration’s 7(a) program and many other lenders prefer or require that borrowers who have collateral available use it and receive a fully-secured loan. Moreover, these secured loans are one of the cheapest financing options that are available to entrepreneurs. That was the good news. The bad news is that there are some dangerous trends in the housing and marriage markets that could complicate the situation. First, there has been an increase in the riskiest share of Federal Housing Authorities (FHA)-backed mortgages – these are the ones that require down payments of 3-5 percent — and a decrease in the average credit rating. A factor in this has been the rise in non-bank lenders, such as Quicken Loans, which can afford to have looser credit standards than traditional banks. The worry is that this development can push up delinquencies and slow the growth in home prices. Second, this new competition in the mortgage market have led to more companies offering second mortgages that take the total of both loans up to 125 percent of the home value… It could be a dangerous territory even for good credit borrowers if delinquencies do start to trigger a price to slow down. Third, the divorce rate among entrepreneurs may be greater than the national average of 40 percent, especially for second and third marriages. A Toronto based divorce lawyer estimates it at about 50 percent, 67 percent and 74 percent for first, second, and third marriages respectively. Why is this important? Divorce and second mortgages are a messy mix. It is best to sell the house in the case of a divorce and pay off the loan, but in a slow housing market this may not be possible. Some lenders allow one spouse to assume a mortgage, however, this is rare. The only other option is for both spouses to agree to continue paying, though if this does not happen, both spouses credit ratings will be ruined. In sum? Entrepreneurs should pause before putting their house at risk for their business or they wind up losing both. If they are still set on tapping this source of finance, they should shop around carefully. Avoid loans with dangerous features like prepayment penalties, balloon payments, and double insurance. And if married, perhaps, they should make an effort to “work on it.” If they do end up with a divorce and cannot sell, the settlement terms should state that the payments are the sole responsibility of the spouse living in the house. This condition is necessary to tap future loans, since the mortgage will remain on both credit reports. In other words, entrepreneurs should remain optimistic about their business, but temper it with some realism about market and societal trends, and, perhaps, opt for a darker shade of rose-tinted spectacles! The launch of a startup is an exciting time for any tech entrepreneur. As you embark on this adventure, it is critical to establish a strong legal foundation that protect your intellectual property (IP) and tech innovation. Unfortunately, many tech startups underestimate just how integral a strong IP strategy is to commercial success and revenue generation. 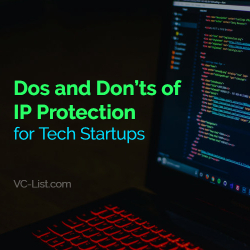 In order to safeguard its IP, a tech startup should consider the following dos and don’ts. Don’t Conduct Research & Development in the Open: With the growth of co-working spaces, conducting research and development (R&D) in the open should be avoided. 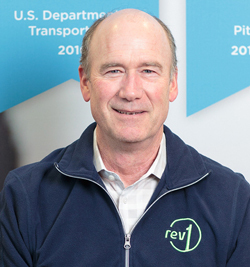 Many developers are unaware that conducting R&D in the open is technically considered a public disclosure and can foreclose patent protection in most countries. 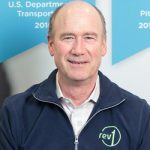 While the United States does allow a one-year grace period for filing for patent protection, it is still a best practice to avoid any type of public R&D. Don’t Discuss Plans for Future Innovations: Even after a tech startup has filed a patent application, it is critical to limit any presentations or discussions to only the subject matter that exists in the filed patent application. Discussing future innovations – even in the context of a brainstorming session – can be construed as a public disclosure, which may preclude patent protection. Tech startups can avoid this undesired outcome by simply choosing not to partake in discussions about future innovations. If pressed, you can simply state that a patent application is in process to protect the innovation, and once filed, you will be happy to discuss. Don’t Unveil Your Innovation Too Early: All too often, tech entrepreneurs inadvertently place themselves at risk of unveiling their innovation too early, such as at fundraising meetings with potential investors who typically do not to sign an NDA. In order to best protect its IP, a tech startup should make certain that its innovation is filed with the USPTO as soon as possible – and preferably before investor meetings. Copyright protects the expression of the idea and requires memorialization on a tangible medium. Trademark protects the logo or the name and acts as an identifier of the source of the product or services associated with the logo or name. Trade Secret protects anything confidential or proprietary. When considering intangible assets, tech startups need to understand what it is they are looking to protect, and then decide which IP regime to implement. If the goal is to protect an inventive concept, a decision to either pursue a patent strategy or pursue trade secret protection must be considered. Every type of IP is different, and incorrectly pursuing the wrong IP to protect your asset can place your product at risk. It is a best practice to seek the advice of an IP attorney. Following are IP agreements that every tech start-up should consider putting in place. IP Assignment: For tech startups, it is often the value of the company’s IP portfolio that helps attract investments from venture capitalists and other capital sources. To help ensure the company has complete ownership of all IP assets, as soon as the company is incorporated or formed, all relevant IP should be assigned to the company. This will ensure that the IP asset is with the company and help avoid the IP from being licensed or transferred to a competitor by a disgruntled founder or employee. Vendor Agreements: When using vendors or contractors, it is important to have a provision in the agreement that assigns any IP developed during their engagement to the company as well as any IP that is related to the engagement. The IP may include software code, graphics, logos, marketing materials, or simply ideas. The agreement should be signed as soon as the vendor or contractor is hired. Whenever possible, start-ups should use agreements with third parties that can ensure consistent agreement terms with all third parties. Customer Agreements: All written agreements that impact the ownership and confidentiality of your IP are of great significance – including agreements that document the sales of your products or services to customers. The same IP ownership issues as vendor agreements generally apply to customer agreements. In addition, it would be wise and to the extent possible, get the customers to assign any modification, improvement or changes to your IP that they are using. Having these IP agreements in place will go a long way to helping the tech start-up avoid many of the most common legal pitfalls that start-ups encounter, and will help position the business for future investment, growth and long-term success. To ensure the best use of time, effort, and marketing dollars in branding the product, tech startups should immediately ensure that the domain name is available before considering a trademark. Domain name and trademark are two separate entities, so it is important for tech startups to consider both. Without a domain name, having a trademark that users cannot easily associate with your product can act as a detriment. It is also integral to perform a clearance study to ensure that your trademark is available before spending resources in a branding campaign. 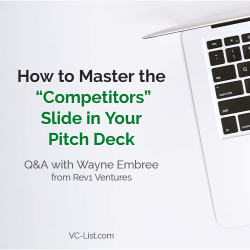 It would be unfortunate – and, more importantly, costly – if you were to find out late in the process that a competitor had the same trademark for a similar app.